Today I am 68. 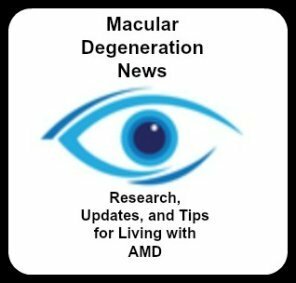 At age 43 my annual eye exam revealed the start of macular degeneration. I didn’t think much about it then and took the Ocuvite vitamins off and on. I had no noticeable vision impairment. Six years later when we moved to another state and I located an ophthamoligist, I announced at the start of the visit that I had MD. He sort of laughed and said he doubted that because I was only 49. To his surprise after the exam, he said yes you do. Again I didn’t think much about it and went on with life taking the type of eye vitamins recommended when I thought about it. 13 years later at age 63, my ophthamoligist said ,”I’m referring you to a retina specialist.” I really didn’t understand fully why he was doing that. I saw the retina specialist and he explained the changes that were occurring. However, he said following me every three months for now would be fine. And to take AREDS 2. At this point I knew the problems my dad was having with AMD AND became a bit more concerned. I didn’t make it to the 3 months before I woke up and realized I could not see my left eye in the mirror. Thus began my five year journey of very frequent visits, shots of Avastin in right eye for about two years. Then one visit my left eye was wet and I got Avastin in that eye. Soon the Avastin was not effective in the right eye, and the Doctor switched to Eyelea. But my left eye responded well to Avastin and has been dry for about 8 months now. Of course by now I’ve done lots of research. The doctor is amazed that I see as well as I do with what he calls severe macular degeneration. I recently had two cataracts removed and have had great results in spite of being told it may not help much. 6 months ago my doctor thought my driving days were coming to an end. Well, last week I was tested and reading 20/25 in one eye and 20/30 in the other. Let me mention that for 3 months now I have not needed a shot in either eye. Also I eat for my vision. And I pray daily that I may be a miracle and ask God to make my eyes heal. I’ve also told my doctor that. So never give up. And find the doctor you like and trust. I travel 220 miles one way to see my retina specialist every 6 weeks. Wow! Just reading your story brings me back to my mother who is 92 1/2 yrs old now. She was diagnosed with dry AMD when she was 50 yrs old! But we suspect she had it before that because she used to tell me that in the early morning before the sun was completely up, she would look out the window from bed and she saw a gray circle that blocked her vision from being able to see the whole window. We didn’t know what it was for the longest time until finally she saw an eye doctor and he broke the news. She never went wet that we know of, but she did lose total vision in her left eye when she was about 85 hrs old. She always ate green leafy vegetables, and exercised to try to maintain the vision she had. She gave up driving when she was 85 because she couldn’t see the lines in the road anymore and she was veering all over the road. My dad begged her to stop driving and she did. Now at her ripe age of almost 93, she is still independent in her own home - and can see tv with her good eye. She has learned really well to see peripherally out of the corner of her good eye and manages well in her home. I do all the driving now. She listens to books on tape. She was worried she would lose all sight at one time, but she hasn’t. Over 40 yrs after diagnosis, she is still able to enjoy company and she heats her dinners well in the microwave or convection oven. She had some occupational therapy which helped her big time. I like your spirit and it’s important to keep that spirit. Thank for your story of hope!